Custom Services: Instant Prices, Low Minimum, Configure Online! Get exactly what you want, quickly and easily. 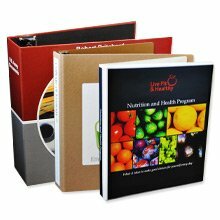 Our graphic designers are available to help create custom binders, folders, boxes and CD sleeves that work for you! For $80.00 our graphic designers will add your supplied Logo & Text to one of our 1000s of products offered on the site. For $110 our graphic designer will transfer an existing design to a different product. Perhaps, you might like a design from one product and want to transfer to another.